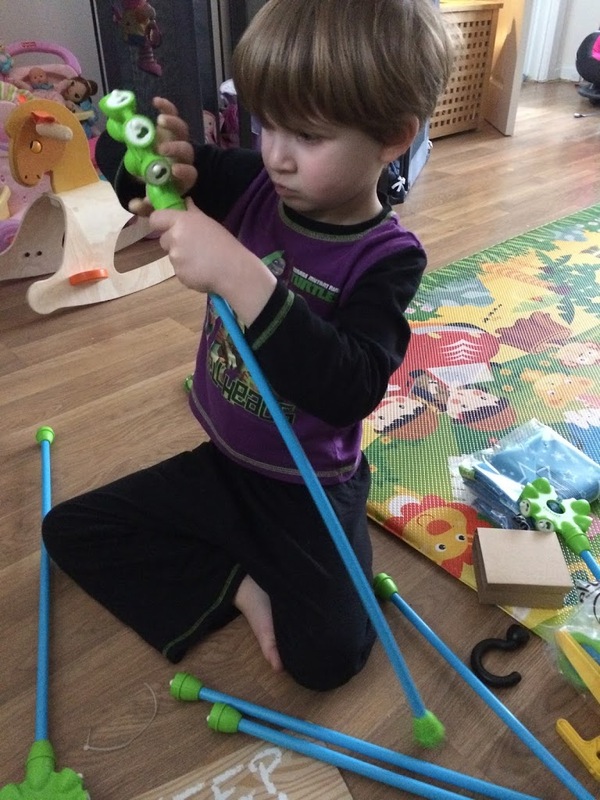 We are loving being Asobi Ambassadors, last month we got to review and giveaway the Seedling Colour The Globe, this month we got to have fun with a great item called PL-UG’s Den Making Kit. I have never seen anything like this and it’s great. I remember building dens as a child and with my own children, we used chairs, pegs, etc and it always feel apart the minute you got in it. The PL-UG Den Making Kit changes all of this without changing any of the creativity or fun. My 5 year old Tyler loved this kit, he had some much fun. I will also have one of these kits to giveaway at the bottom of the page. So what is PL-UG? 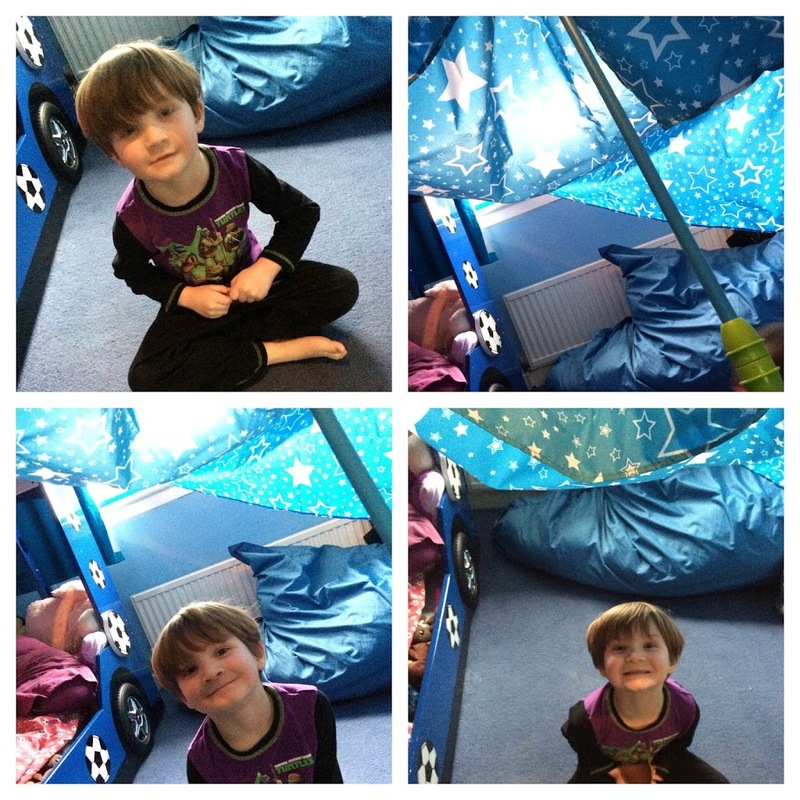 Well, it’s a very clever concept that enables us to build a den out of almost anything. You can attach the kit to furniture, windows, walls, etc without any damage, pegs, tape or glue. 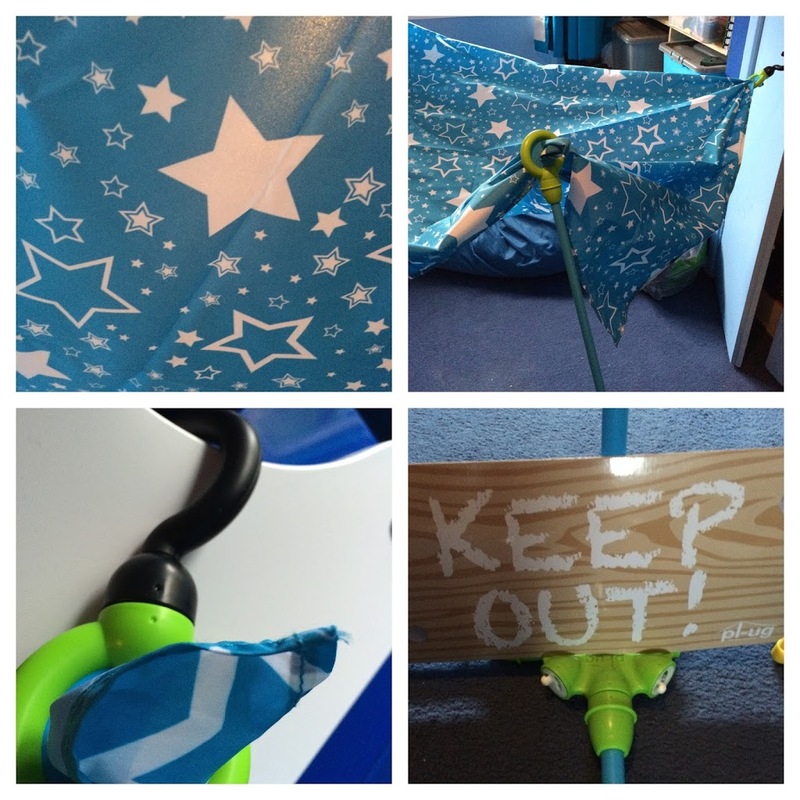 Once you have your structure in place, put your sheet over it, put on your keep out sign and your good to go. 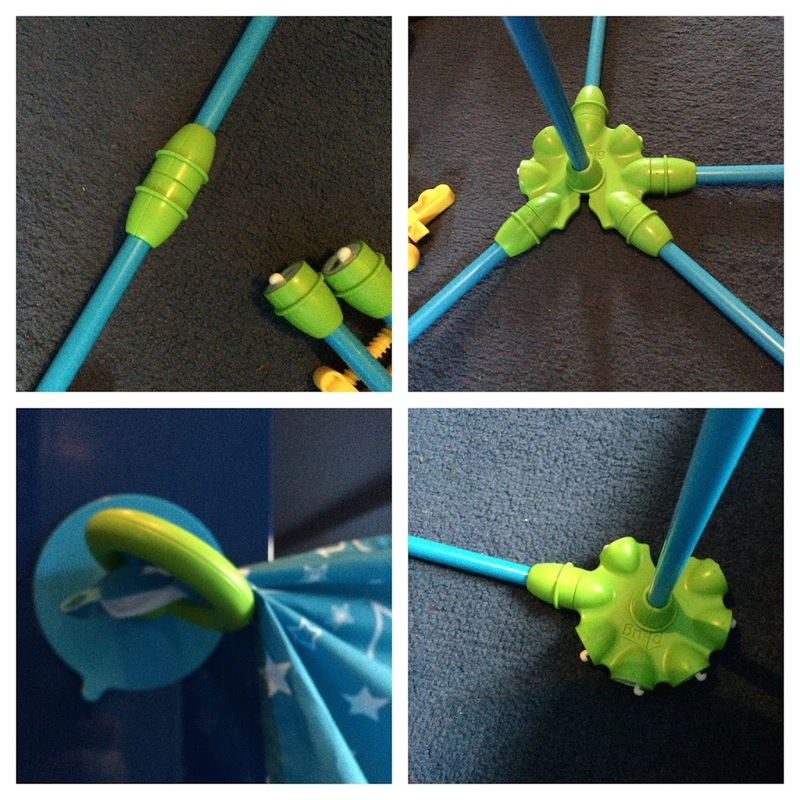 The components and the rods all fit together easily as you can see it’s child’s play. However, children do seem to take den building very seriously. 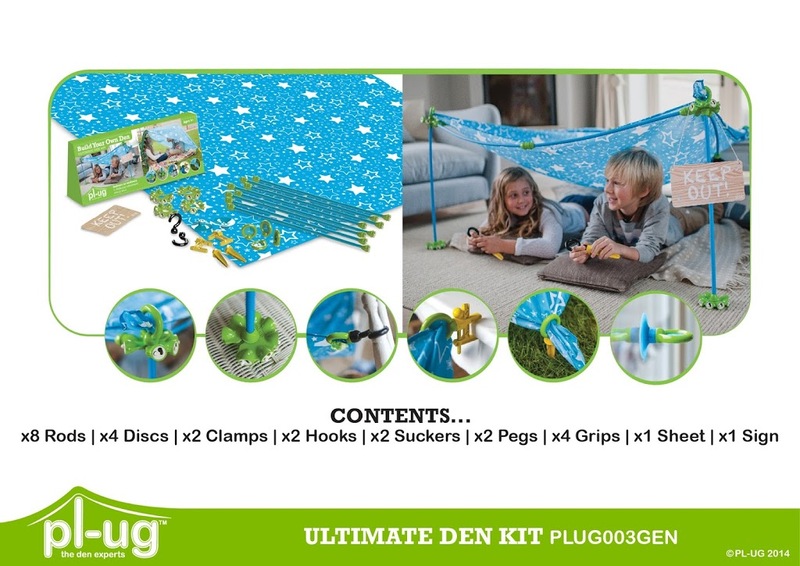 There are three kits: the Den Kit, contains grips, suction cups, hooks and clamps, and, of course a Keep Out sign, but you provide the sheet; the Canopy Den Kit, also comprises a starry sheet, pegs and the Ultimate Den Kit, has all of the above, plus extra rods and discs to create massive hideouts. We thought the kit was excellent. It was simple to use, you can make pretty much anything from it and it can be built up by a 5 year old without any adult help. It really does stick to anything and comes away easily. We have only used it indoors so far as the weather hasn’t been great and the rare days we did have nice weather we were out and about. I am looking forward to trying this out over the Summer in the garden. I think it’ll be great on the decking. No more tripping over chairs or standing on pegs, this kit does it all. It’s well made and great fun. There are 3 different sized kits available from John Lewis and Kind Toys. These would make a great birthday present or something to keep the kids away from the consoles over the Summer holidays. It’s definitely something we will be using again and again. Also to support #AsobiAmbassadors, Kind Toys are offering a 20% discount off all PL-UG products throughout May using discount code PLUG at the checkout. The other Asobi Ambassadors have been reviewing the PL-UG Den Kits, see what they thought of them and enter their competitions too Edspire, A Mummy Too and Lilinha Angel tried.